Digital video security cameras normally use an RG-59 coaxial cable to transmit their video signal. Each camera must have a cable run to the Digital Video Recorder or DVR. If this cabling is impractical for your business or office, or you need cameras placed fairly large distances from the DVR (such as industrial settings) then business wireless security camera packages could be your practical solution. Business wireless security camera packages can be used in a variety of settings instead of typical cabled digital video cameras. Some examples include large industrial areas or commercial warehouses that may contain several buildings that are widely separated, retail facility parking lots, or places where cameras must be mounted that are hard to reach or cable (such as building tops or towers). A wireless security camera is named as such because these units do not use the RG-59 coaxial cable or any other cable for that matter, for their video transmission. Instead, these cameras operate by sending their video signal via radio waves to a corresponding receiver. The cameras normally use the 2.4 or 5.8 GHz band radio technology for sending their signals. This is the same type of technology that is used in contemporary land-line based wireless telephones. Our business wireless security camera packages specifications normally list the ranges for the camera and receiver signal transmission and reception. Camera models vary but some boast ranges of up to 2.5 miles. These ranges are often listed as LOS or Line Of Sight. This means the range listed is the maximum range provided the camera and receiver have a direct line of sight between each other. In other words, the range specification is for unimpeded distance between the two. However, LOS does not mean that if there is an object that stands between the camera and the receiver, that the video signal will not be successfully transmitted and received. In fact, most business wireless security cameras have walls, windows, or buildings between them. These objects can completely block the signal but seldom do. Normally the signal is just weakened in that the range is reduced. Seldom is there a problem with procuring a model that does not have enough transmission range or power for the job. Business wireless security camera packages are available with just about any of the options or additional features that their “wired” counterparts can possess. This includes audio recording, Pan-Tilt-Zoom or PTZ functions, and motion detector switching. Wireless cameras come in all shapes as well including box, bullet, and dome shapes. There are also day/night vision and night vision infrared business wireless security cameras. 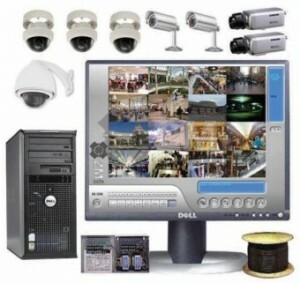 Another interesting feature available for business wireless security cameras packages is IP or Internet Protocol ready. This feature means that the camera is pre-manufactured to be ready for access using the internet. The internet is used as the vehicle for transmission of the video signal from the cameras’ receiving unit. This also means that the cameras can be accessed (monitored and controlled) from just about anywhere in the world there is internet access. Quite often these cameras only require a common web browser such as Internet Explorer to be accessed. Some cameras also come with their own proprietary software. These systems are gaining popularity not only because of their economic price and ease of installation, but because business owners and managers and keep a “watchful eye” on their businesses while away on travel, at home, or on vacation. 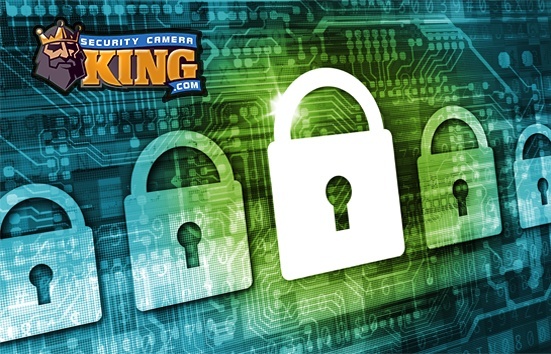 If you are thinking of upgrading or purchasing your first digital video security system, ask our security experts if business wireless security camera packages are right for you. You can reach them by clicking on the live chat button on our home page or by calling us today at 1-866-573-8878 Monday through Friday from 9am to 6pm EST.